Plain and simple, becoming a parent is a scary experience to say the very least. After all, when it is your first child, how in the world are you supposed to know what to do, or if you are even doing anything at all correctly? 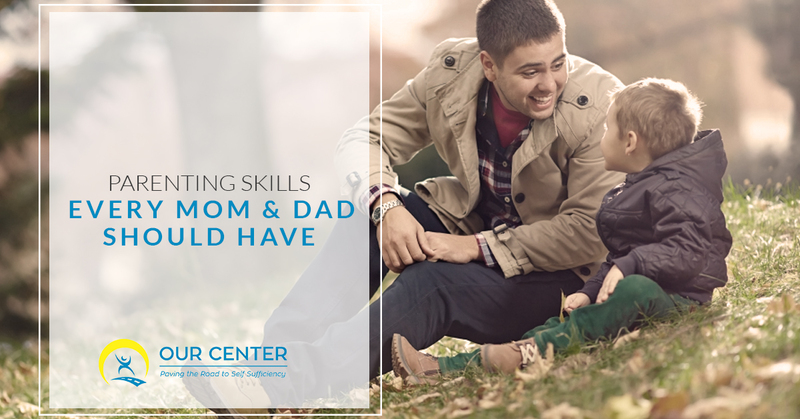 At the OUR Center, we like helping new parents learn the basics of what it means to be a good mom or dad. We do this by offering parenting support and skills courses that aid in developing the proper strategies for being a parent. While you may have some idea of how to parent a child, you may also be struggling with some aspects of your new job. That is why we will be discussing some of the best strategies you can adopt as a parent and how these practices will lead to you being a far better parent than you ever imagined you could be. Believe us, there is no set guide for how to be a good parent. However, there are certain rules you should consider following in order to get on the path to premium parenthood. Set aside a certain time that you regularly do something fun with your child. Don’t disagree with your partner on how to discipline your child in front of them. Create an agreement with your child in regards to what behavior is desirable and what behavior is not desirable. Praise even the most gradual changes in behavior. Reward desirable behavior as much as you can with verbal praise. While these rules are just the basics, they are setting expectations and boundaries for your child which are extremely important if you are hoping to be a successful parent who raises a successful child. One of the things that most new parents struggle with is disciplining their child. After all, this is a person who you love more than anything on the planet, which can make it difficult to tell punish your child when they do something wrong. Keep in my that the right kind of discipline should be firm, fair and friendly. Continue reading to learn more about how to go about doing this correctly. You need to make sure that the consequences of a wrongful action have been clearly stated beforehand. Then make sure that you actually do follow through should the child engage in that behavior anyway. Be sure that the punishment fits the crime. There is no need for harsh punishment as even the tiniest reprimanding can feel like the end of the world to a child. The important part is not to scare your child but instead to teach them something that they may not have known before with fair consequences. Yelling or screaming when your child does something wrong will do nothing but undo the respect your child has for you. Communicating in a firm but friendly manner when your child has misbehaved will encourage them to do better the next time they have the opportunity to make the same mistake. Finding your way when you are a new parent can be extremely challenging. Having a support network to help you navigate this new adventure can be extremely helpful. This is precisely what you can find when you seek assistance from the Family Forward services at OUR Center. We are here to help you to obtain the skills you need to be the best parent possible. Contact us today or stop into OUR Center to learn more about our parenting support and skills services.